The increasing level of Internet penetration over the last decade has made web surveying a viable option for data collection in academic research. Software tools and services have been developed to facilitate the development and deployment of web surveys. Many academics and research students are outsourcing the design and/or hosting of their web surveys to external service providers, yet ethical issues associated with this use have received limited attention in academic literature. In this article, the authors focus on specific ethical concerns associated with the outsourcing of web surveys with particular reference to external commercial web survey service providers. These include threats to confidentiality and anonymity, the potential for loss of control over decisions about research data, and the reduced credibility of research. Suggested guidelines for academic institutions and researchers in relation to outsourcing aspects of web-based survey research are provided. Recent Pew Internet and American Life survey data indicate almost three quarters of American adults regularly access the Internet from home (Horrigan, 2009). The vast majority of these connections are at broadband speeds. Data from the Australian Bureau of Statistics (2008), the UK Office for National Statistics (2009) and the OECD’s Directorate for Science, Technology and Industry (2009) reveal that Internet penetration levels are similarly high in Australia, the UK, and many other industrialised nations. As Internet penetration has risen, researchers have increasingly moved their data collection efforts ‘online’ (Lee, Fielding, & Blank, 2008; Reips, 2007; Skitka & Sargis, 2006). These efforts have variously involved online interviewing (Hewson, 2007; O’Connor, Madge, Shaw, & Wellens, 2008), observation and other non-reactive methods (Janetzko, 2008; Robinson, 2001), experimentation (Birnbaum, 2007; Reips, 2007) and web surveying (Best & Krueger, 2008; Reips, 2008). Of these online data collection methods, web surveying is currently dominant (Reips, 2008), is continuing to grow in popularity (Lee et al., 2008)1, is the online method most frequently reviewed by Human Research Ethics Committees (HRECs; Buchanan & Hvizdak, 2009) and thus is the primary focus of this paper. The growing use of web surveying merits attention to the possible impacts of the technology on research participants. Such ethical considerations are situated within the emerging scholarship on technoethics. 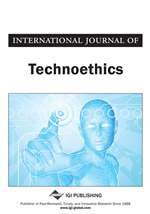 Technoethics provides a focus on the ethical considerations associated with technological change (Luppicini, 2009). Within the broad field of technoethics, Internet ethics and cyber ethics have been identified as key areas (Luppicini, 2009) with major questions including “What are the ethical responsibilities of Internet researchers to research participants?” (p. 10) and “What are the ethical responsibilities of Internet researchers to protect the identity and confidentiality of data derived from the Internet?” (p. 10). We begin this article by providing an overview of web surveying, including the tools and services that have emerged facilitate the development and deployment of web surveys. We provide evidence to suggest that commercial web survey hosts are widely used by academic researchers, yet the ethical issues associated with this use have received only limited attention in the academic literature. The main body of this article provides a focus on specific ethical concerns associated with outsourcing aspects of the web surveying process, with particular reference to external commercial web survey hosts. These include threats to confidentiality and anonymity associated with breaches of data protection and the potential loss of control over decisions about the data. Further, the possible impact of externally hosting academic surveys on response rates and responding is examined in terms of online privacy concern and the perceived credibility of research. This article concludes with some suggested guidelines for institutions and researchers in relation to the outsourcing of aspects of academic research utilising web surveys.